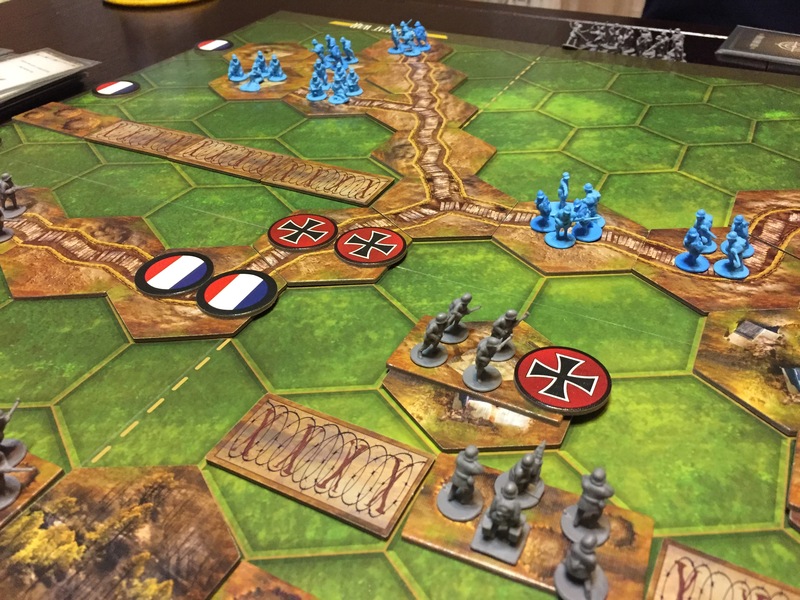 100 year Anniversary of Armistice – and for me, even more importantly, 100 year after Poland regained independence – can be celebrated in only one way – playing The Great War! 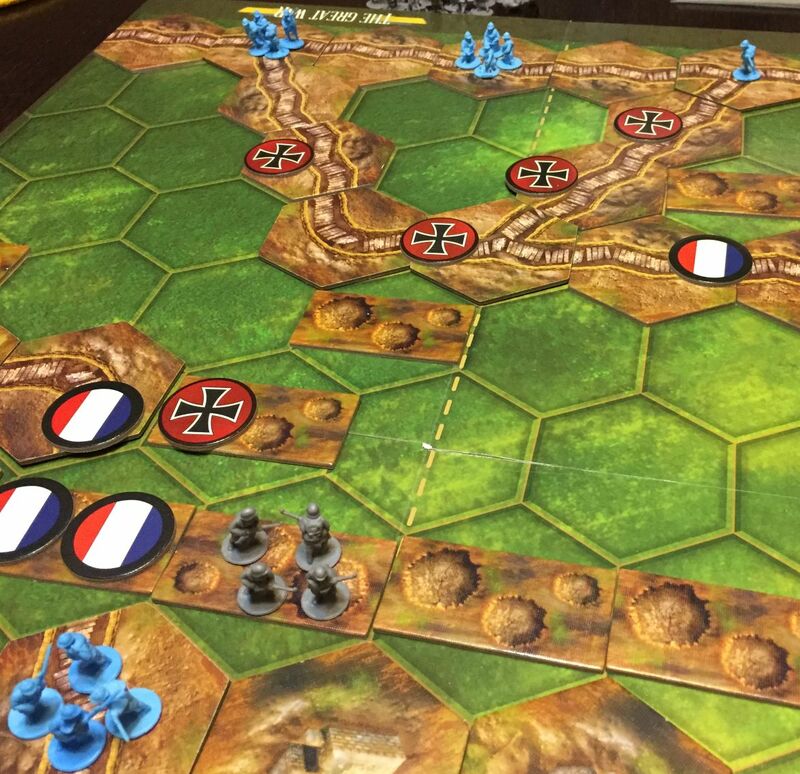 With that in mind me and Marcin decided on re-enacting last four engagements of the Verdun battle. 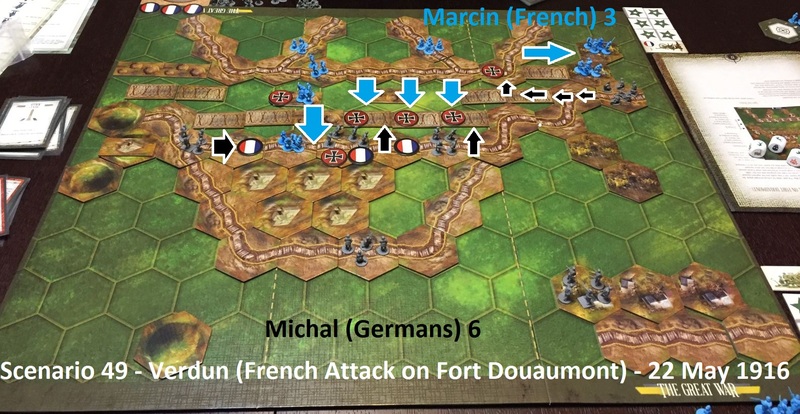 The scenarios were fierce and finally we had seen French in attack! In next scenarios Marcin will have opportunity to further work on his attack skills – really crucial element of the The Great War. 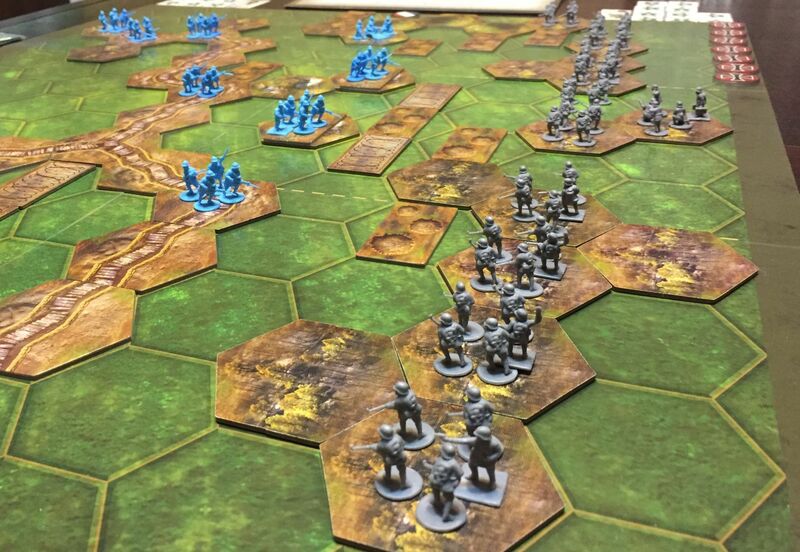 Scores of Special Personnel – Marcin took two officers plus bomber; I augmented my forces with two bombers, mortar spotter and HMG loader – interesting, very confrontational set-up, besieged fort and 7 victory banners so no way victory will come by chance – that is receipt for superb scenario! Very funny scenario, a lot of movement and tactical options. Chance for French to survive until reinforcements come, while for Germans it is real fight with time! Unfortunately, Marcin constant play of Recon for victory points (4 of them!) devoured me of victory! 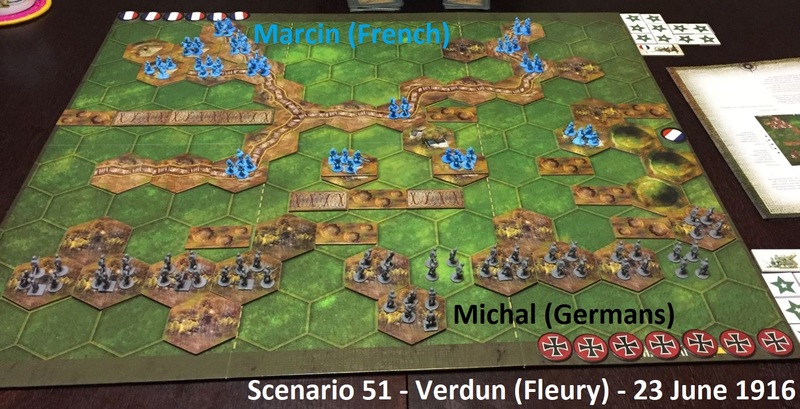 Finally it has come – the last episode in 12-scenario Verdun campaign – French will be re-taking the Fort Douaumont. This is huge scenario – 8 victory banners, there is a great disproportion in reserve artillery (Germans – 2, French – 5), the initial shelling is obliterating trenches and forts. A real hell on Earth in a way only The Great War can bring! 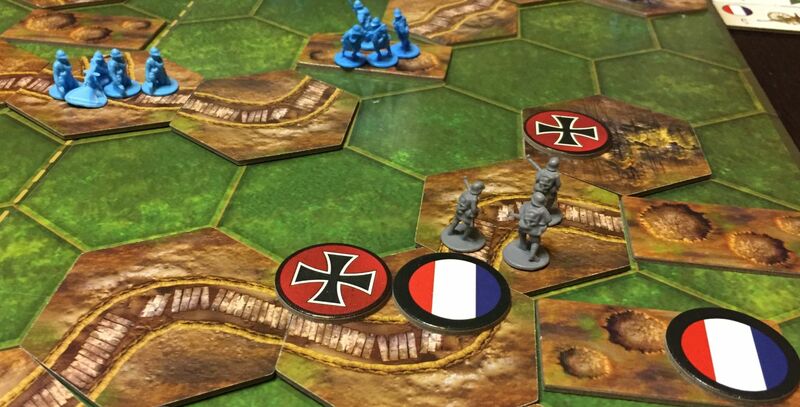 Important to note – French are not racing against time, so they have all the time needed to win this scenario. Still, at some moment in time it was 5-1 for French. 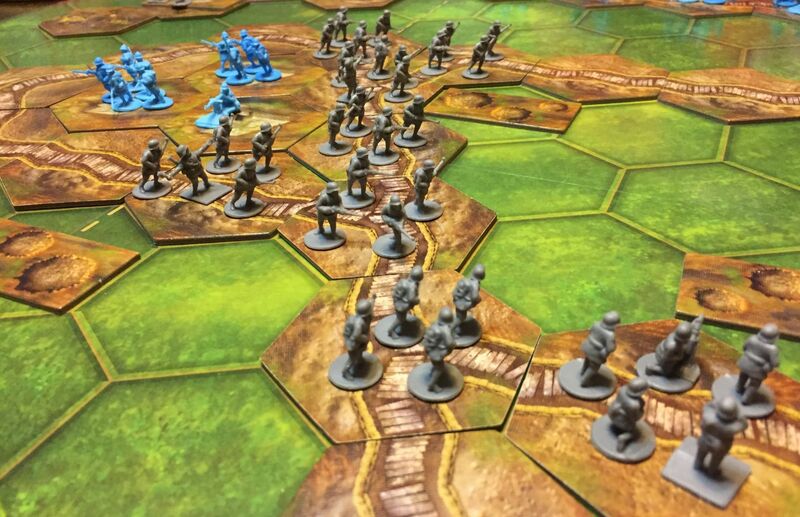 And then something broke in Allied advance… It seems that Marcin had not engaged all the units, and only the first line which in the end was depleted by the fight. What is worse, I counter-attacked with my Light Machine Guns and managed to reached 6-6 score. Now, we need some break from TGW in order to come back to this with fresh energy for Neville Offensive and Tanks scenarios! Next Next post: [ENG] Yet again introducing Pericles!